The Bobsey Twins of America First Militarism are bound to fail because their tough-guy diplomacy is beyond ham-fisted. When all options are on the table, you need to use all options. WASHINGTON (Reuters) - John Bolton, U.S. President Donald Trump’s new national security adviser, said Trump should insist that any meeting he holds with North Korea’s leader must be focused squarely on how to eliminate that country’s nuclear weapons program as quickly as possible. Great. Bolton chooses an Asian venue to tell Kim he'll insist on a Libya-style solution -- in which, years later, Qaddafi is pulled from a culvert and ends up beaten to death by the side of the road. Yeah, Kim's totally going for that offer. What does Donald Trump’s stance on the Iran deal have to do with his relationship with North Korea? It turns out, quite a lot. That’s because the president’s desire to pull out of a historic nuclear deal with Iran could likely hurt his chances of reaching a significant weapons agreement with Pyongyang. There’s a simple reason why, experts tell me: If Trump backtracks on America’s promises to Tehran, then North Korean leader Kim Jong Un has no reason to trust Trump during negotiations about Pyongyang’s nuclear and missile programs. Game, set, match. What's worse is that the next review of the Iran deal is set for May (the U.S. revisits the deal every 90 days to check if Iran is complying), ostensibly the month the North Korean talks are set, although Kim hasn't actually signals it's on. I guess this is supposed to be set up by the South Koreans, or something. So, here's the deal. 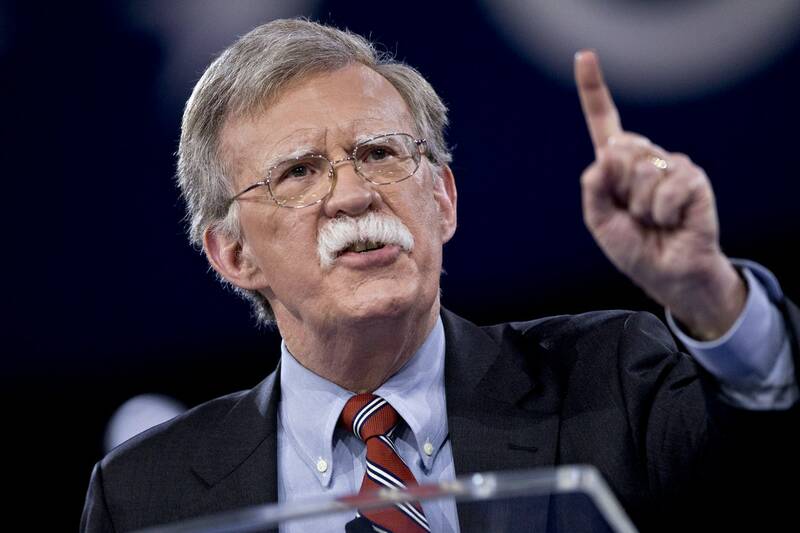 Bolton wants a pre-condition that North Korea will end its nuclear program in order to meet, and Trump is set, at Bolton's encouragement, to pull out of the Iran nuclear deal just as the two sides are scheduled to meet. Why, then, would Kim agree to anything? So he can agree to something you can't trust the Americans to uphold, or agree to something that ends with him dead in a ditch? I don't think so. Way to go, Monsters of War™.